Are You Ready for EMV? 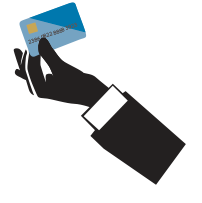 If you own a business, or even a credit card, there’s a good chance you’ve been hearing terms like “EMV” or “chip and pin” thrown around lately. But what does that mean for you? EMV stands for Europay, MasterCard, Visa. It references the technology the US will soon be adjusting to. Instead of swiping your credit card after ordering a triple-medium-two-pump-white-mocha at your favorite coffee shop, you’ll be inserting your card into the terminal and entering a pin number (hence the term “chip and pin”). As a cardholder, this shouldn’t be much of an inconvenience. Not to mention, the lack of “swiping” will protect you from any skimming devices. At eCMS, we are always working to provide the most advanced and up to date merchant solutions for our clients. With many of our retail merchants, we have been on the forefront of this technology and often offer equipment that will be compatible and compliant for years to come. However, we realize there may be some that need updated equipment, especially in light of new industry-wide changes. If you aren’t sure if your current Point of Sale device is going to be up to date, we encourage you to reach out to your representative or any one of our friendly and helpful eCMS Team Members to discuss your options. Please call us at 888.277.3332. We will be happy to help you determine if your equipment is ready for the new requirements or if we can be of service in providing you the most cost effective solution. Thank you for your valued business! "A big thank you for your forum topic.Really thank "
"I must thank you for the efforts you've put in pe"
How to use Authorize.Net’s Virtual Terminal!